Dubai, UAE, October 10, 2018: This season, Robinsons is your one-stop shop for AW18 and will see you move into the season with style and flair. Across the Robinsons womenswear portfolio are perfectly structured and crisp, cut combinations which define trend direction, while bold style and quality feature throughout. For the season, colours take a back seat and more muted hues are seen throughout womenswear. 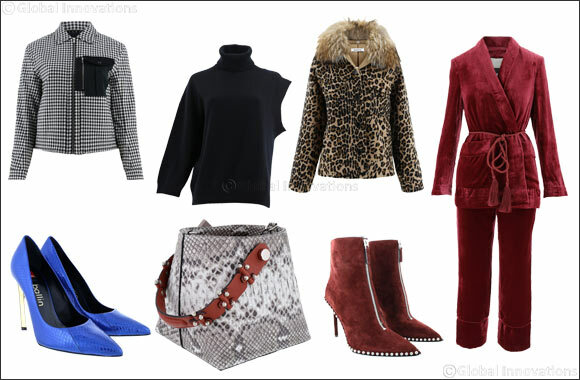 Fabrics are on spotlight with warm velvets, edgy leathers and structured, tailored pieces on offer, while animal print makes a strong comeback, featuring across statement jackets, evening wear dresses and everyday tees. With a stunning array of pieces to choose from, including designs from Parosh, Paul Smith, Vivetta and Edition 10, Robinsons will certainly help put the final touch to that perfect fall look. No outfit is complete without that statement bag and this season's edit of beautiful, high- quality accessories is nothing short of stunning. Nasha plays with colour, texture and fabric like you've never imagined, while Loup Noir is the staple bag you've always wanted - you'll fall in love with every colour! Pierre Hardy ties the season together with warm tones and soft plush fabrics. A closet makeover isn't over until you've found the perfect pair of shoes. Pick your favourite heel from Malone Souliers, Alexander Wang or Ballin or get ready for warm walks around the city in cool kicks by Adidas. Whichever look you choose to showcase this season, Robinsons has you covered. This season, Robinsons has paved the way for a stylish Autumn and has the perfect statement pieces to help curate your closet. Everyone’s favourite fashion season is here, and Robinsons is leading the trends with stunning silhouettes featured throughout.